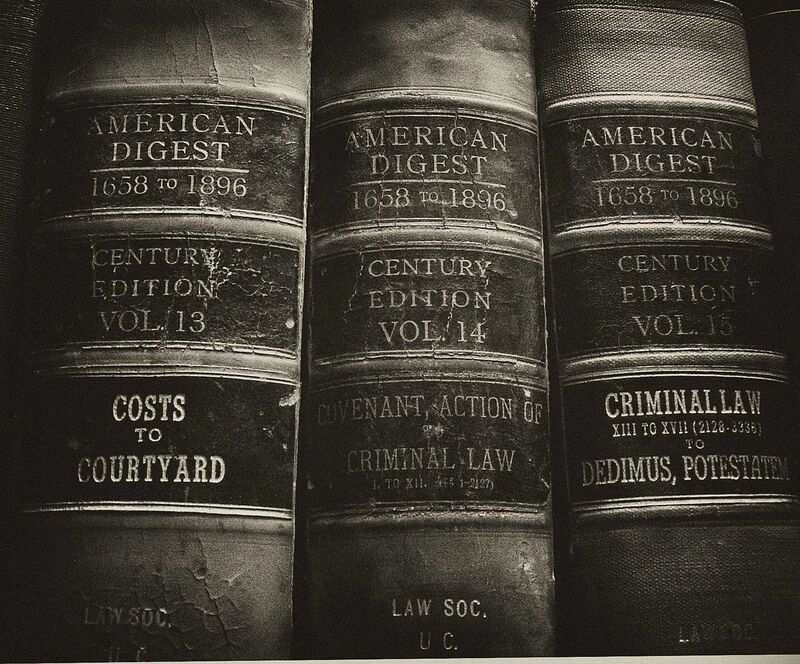 Legal History Blog: Craig on Hamburger's "Is Administrative Law Unlawful?" Craig on Hamburger's "Is Administrative Law Unlawful?" Administrative law is rightly regarded, together with constitutional law, as one of the twin pillars of public law. 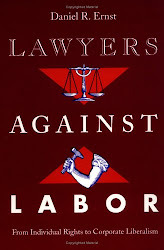 This is equally true for civil law regimes as it is for those grounded in the common law. The conceptual and normative foundations of administrative law should be examined with care, in the same way as for any other body of legal doctrine. 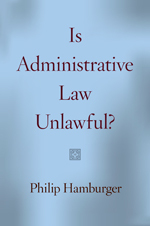 Philip Hamburger recently posed a provocative challenge to administrative law in the USA, as attested to by the title to the book, which asks whether administrative law is unlawful. 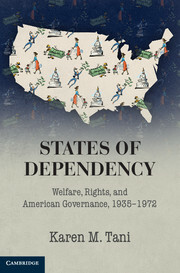 His thesis is grounded in English administrative law, as it developed in the seventeenth century and eighteenth centuries, when lawyers in the American colonies would have been familiar with it. Indeed this analysis occupies approximately half of the book. It is perfectly legitimate for Hamburger to pose searching questions concerning the legitimacy of administrative law. It is by the same token equally fitting to subject this analysis to close critical scrutiny, which is the purpose of this article. This is more especially so given that there is much that is imperfectly understood about English doctrinal history in this area, and the misconceptions in this respect bear analogy to those revealed in Jerry Mashaw’s seminal work on the foundations of US administrative law. The ensuing analysis does not consider the fit between Hamburger’s argument and modern US administrative and constitutional law. There has been valuable literature on this by those better versed than I in such issues, and I agree with their arguments. 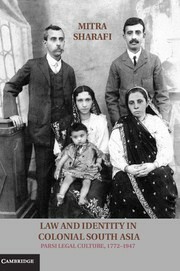 What follows is directed towards the central parts of Hamburger’s thesis that are built on English administrative law. It will be argued that his thesis is misconceived, and does not represent the reality of this law in the seventeenth century or thereafter, with which American colonists might have been familiar. The argument presented below is also of more general relevance, since it will be shown that Hamburger’s thesis is predicated on certain conceptual distinctions that are untenable. The structure of the argument is as follows. Part I of the article contains a brief overview of the doctrinal and institutional foundations of English administrative law. This is followed in Part II by consideration of rulemaking. Hamburger’s thesis concerning “extralegal rulemaking”, which is said to be derived from English law, is set out. It has an expansive dimension insofar as the thesis is premised on elision between prerogative and administrative rulemaking. This is mistaken, and did not represent the legal or constitutional reality in the seventeenth century or thereafter. Hamburger’s thesis is also premised on a qualifying dimension, in which he seeks to limit the force of his argument concerning “extralegal rulemaking” through definition of the term legislative. This facet of the argument is problematic from a conceptual perspective. This is followed by examination of the reality of such rulemaking in England from the sixteenth century onwards in four areas: health, safety and trade regulation; flood protection; poor relief; and excise. The American colonists would probably have been aware that Parliament had authorized executive actors, the King or specific commissioners, to adopt regulations to protect health and safety, to prevent flood damage, and other matters. This was not regarded as extralegal. The focus in Part III shifts to adjudication, and the analysis is structured symmetrically with Part II. Thus the discussion begins with Hamburger’s thesis on “extralegal adjudication”, which he derives from early English law. His argument contains an expansive dimension, in that it is based on an elision between prerogative and administrative adjudication. This elision is mistaken, and did not represent legal or constitutional reality. Hamburger’s argument also contains, as in the context of rulemaking, a qualifying dimension, in which he limits the force of his principal argument concerning “extralegal adjudication”, through definition of the term judicial. This aspect of the argument is beset with conceptual difficulty and does not cohere with the reality of administrative adjudication in England. This reality is revealed through examination of four areas: bankruptcy, excise, inclosure and turnpikes. Discourse concerning doctrinal foundation and transformation is valuable, but fraught with difficulty. There are issues concerning the level of abstraction or detail at which the inquiry is posed; there are decisions to be made as to what is central and what is merely interstitial; and there are judgments as to the significance of institutional and doctrinal facets of the subject when considered in the relevant temporal frame. These difficulties are exacerbated when the subject matter of the inquiry dates back over 300 hundred years, which is the approximate time span in which administrative law developed in England and thereafter the UK. Whether there has been change depends on identification of the foundational tenets of the subject. Paint the foundational picture one way and you have radical disjunction with the past. Paint it differently and you have a stronger seam of continuity, notwithstanding change. Matters become more complex yet again when the scholar has a particular normative agenda and seeks to draw succour from historical sources. There is nothing wrong with having such an agenda; indeed we all do to some greater or lesser degree. This does not diminish the relevance of the point being made here. The stronger the normative agenda, the greater the attendant danger that the historical material will, albeit unwittingly, be read so as to lend it support. The stakes are necessarily raised when the normative agenda seeks to call into question the “legality” of a body of law broadly conceived. Close scrutiny of such arguments is more especially warranted in such instances. The message from this article is that whatsoever US courts and commentators choose to make of Philip Hamburger’s thesis in the modern day they should not believe that it represents the legal and constitutional realities from England that American colonists, or the framers of the American constitution, would have been familiar with.